"Maybe figuring out what a 'plasma-arc-circle-matter-maker' actually is could help." BlackBelt said. I still think it's probably a fusion reactor. "Where's a flipping inventory and search engine computer?" He asked out loud. "Mmm..." Vladin said as he looked for something that may look like a list. "Oh, well look at that!" He found some sort of futuristic tablet. He turned it on, and on the menu there was a setting called 'inventory'. BlackBelt asked if he could look through it, he had a few ideas of what to search for. He did so, flipping his finger on the screen. Vladin's eyes widen before he turned the tablet so Blackbelt could see. 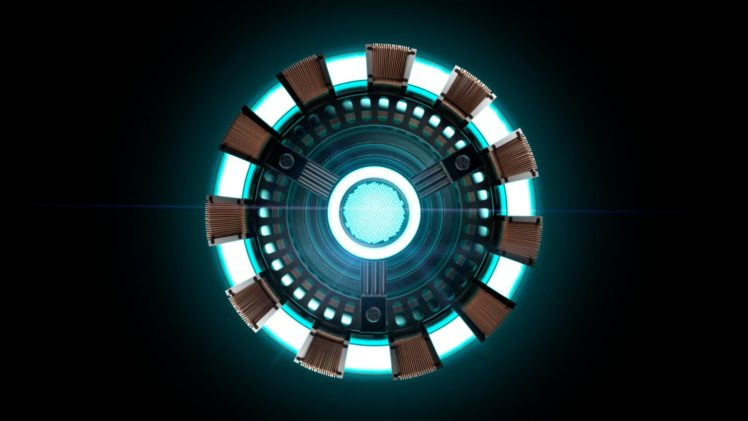 "Huh," he said with an amused smile, "An arc reactor like the kind Tony's got in the MCU." He tries to see if he could spot anything resembling the device. It kinda makes sense; there were some Transformers stories made by Marvel comics and Iron Man has had a run-in with them before. he thought. "Yeah but... This is awfully accurate!" He said as he tried to gain more information about the device. "Well, it makes some sense; Marvel comics did publish some Transformers stories and Iron Man did make a suit to combat Megatron in one of them." BlackBelt said as he began searching the lab for an arc reactor. His eye had returned to normal and he was fishing through some piles using his Keyblade. He shudders for a moment but shakes it off, "Okay, my shadow clone just got dispelled." He muttered as the information it gathered and experienced flooded into his mind. BlackBelt walked over to Vladin to see what he found, hoping it had a full charge and was undamaged. "Is it still working?" He asked. Blackbelt would see that Vladin found a small list on the section dedicated for the mater maker on the tablet. "Nope, but I found quite a few. Apparently, all of them are in Shockwave's room." BlackBelt tried to think if his Shadow Clone had been in that room. OOC: this is entirely your call, Vladin. OOC: I think it would be more of yours, Meepinator's or Mctoran's. IC: Jalerian entered the bridge. At first he was surprised to see Brock, but after Nexus explained him, he nodded and sat down next to a nearby console. "I think my clone spotted that room before he vanished." BlackBelt said. "And did... Uhm... it/he take it?" "No, I summoned my Keyblade before it could act on that observation." BlackBelt said, regretting the timing. "Well that's a little ironic. Sorry to say this." BlackBelt shrugs, "That kind of luck is par for the course for me." He said. "I think I can spot which room it is on a map though." "Or, you know, we can go there and just find it?" Vladin said, leaving the room.